Come explore painting without a brush! 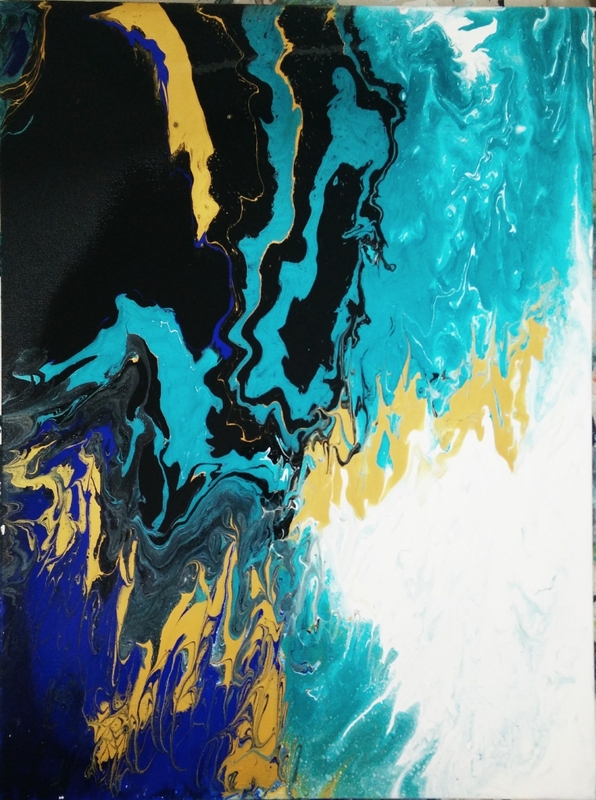 Fluid Painting is a type of abstract art that uses acrylic paints mixed with different pouring mediums to create a fluid, flowing consistency. The acrylic paints react with each other when combined to create extraordinary patterns and designs. This class will focus on pouring techniques such as puddle pouring, dirty pour, and swiping. Each student will complete two paintings in the class. An additional canvas may be purchased for $10 and must be purchased with cash. The canvases will need to be left at VisArts for a week after the class for drying and glaze time. After one week, students may pick their canvases up from the 3rd floor administrative office. VisArts will keep completed canvases for up to one month for pick up.